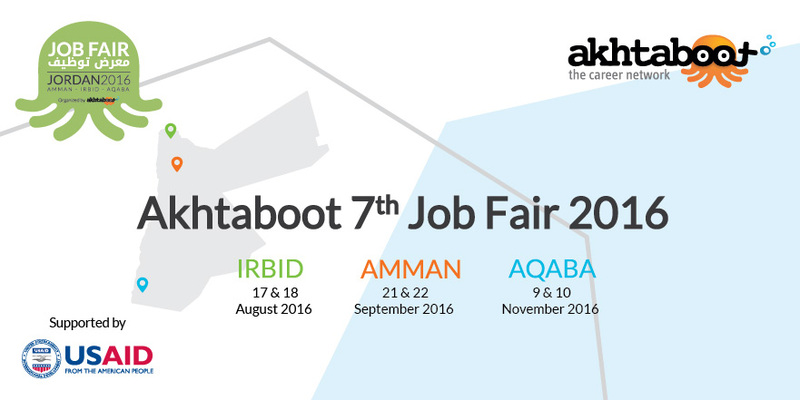 Amman, 7 August, 2016 – Akhtaboot – the career network (www.akhtaboot.com) announced today that it will be holding job fairs in Amman, Irbid, and Aqaba over the coming months. 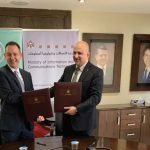 The three career events are the largest such gatherings in the Jordan, where employers and job seekers can meet in one convenient location for the benefit of all. “Launching Akhtaboot’s Job Fair for the seventh year in a row reaffirms our commitment to the Akhtaboot Cares Initiative, our corporate social responsibility program. The three job fairs were strategically designed across the Kingdom to provide the ideal networking platform for job seekers and employers everywhere,” said Mr. Yousef Shamoun, CEO and Co-founder of Akhtaboot. This year’s job fairs are supported by USAID Jordan Competitiveness Program and will feature leading Jordanian companies in the ICT, clean technology, and healthcare and life sciences sectors in addition to a number of other industries covering a wide range of job opportunities. Last year’s job fair in Amman attracted more than 20,000 job seekers and more than 85 companies. Given their wider geographic reach, this year’s events are expected to attract an even larger number of job seekers and companies.